The objective of this premier interventional cardiology meeting is to enhance our collective knowledge pertaining to interventional cardiology, learn state-of-the-art skills, promote a heart-team approach and develop cath lab teams and leaders. In addition, we aim to provide a platform to help train our fellows and residents. Particular emphasis has been laid on the integration and education of cath lab nurses and technicians. 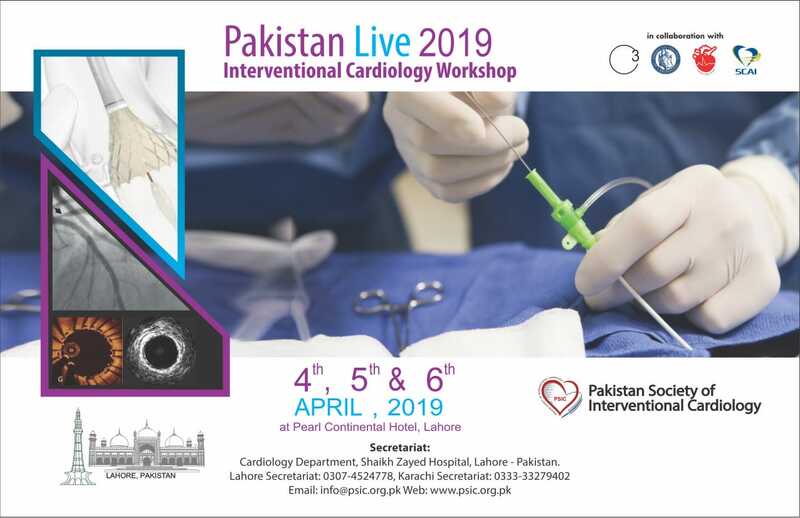 Participants will have the opportunity to learn the latest updates and technological innovations in the field of interventional cardiology and will have the opportunity to witness these techniques through educational live cases nationally and internationally. This course is specially designed for interventional cardiologists who manage patients with complex challenging coronary anatomy, for example, left main stenosis, bifurcation lesions, chronic total occlusions, multivessel intervention in the presence of impaired left ventricular function, rotational atherectomy as well as structural and peripheral interventions. In addition, interventional and general cardiology fellows, cath lab nurses, technicians and allied health care professionals would also benefit from attending this course.